Dry shampoo and I do not have a good relationship. Despite my best efforts, it’s a product I’ve never been able to make work for me. The sprays I’ve tried have smelt floury, left a white cast on my dark roots, and haven’t improved the overall appearance of my hair. Washing it has always been the easy option. But then KiteNest got in touch. 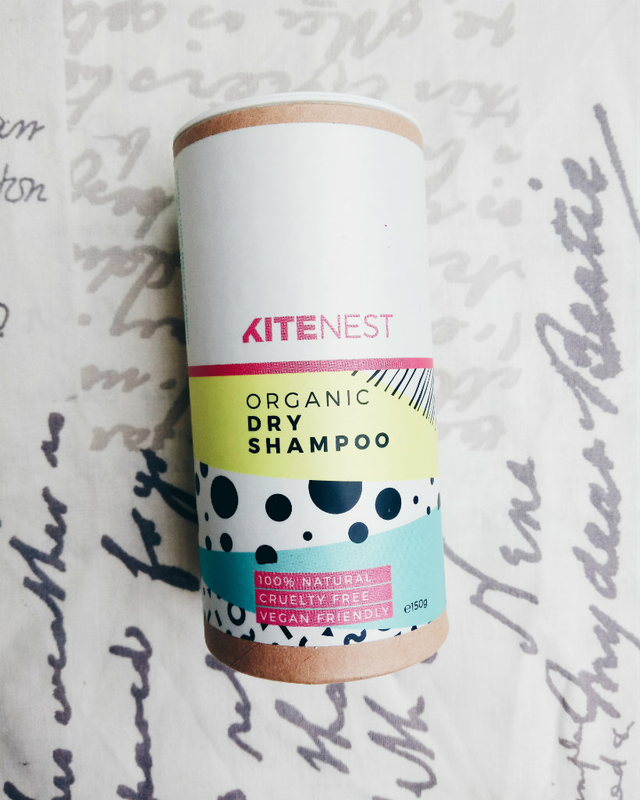 KiteNest are a British brand, they make 100% natural, handcrafted beauty products, and they never test on animals — exactly the kind of company I like to support. They have two dry shampoos on offer: one for light hair; one for dark hair. And I began to hope that there might be a cruelty-free bad hair day solution for brunettes after all. The packaging caught my attention as soon as I opened the parcel — how cute are all the different colours and patterns? The tube is fully recyclable, too, so there’s no need to worry about waste. As for the product itself, this dry shampoo comes in the form of a powder that you sprinkle on your roots, rather than a spray. Unfortunately it took me ages to open the hole at the top — you have to stab it so you can get to the little holes that create the sprinkle effect and stop the product from pouring out. I got there in the end with one of those skewers that you use to check whether a cake has baked, but it was bloody hard work. The sprinkler doesn’t fully close, either, so you can’t take the dry shampoo with you unless you decant it into a smaller, more secure tub. What about the ingredients? The dry shampoo is made from clays, plant powders, and essential oils, with no artificial additives in sight. The only difference between the light hair and the dark hair version is the type of clay used; the light hair version contains kaolinite clay, while this version contains Moroccan lava clay instead. The essential oils are a gorgeous, citrus-y combination of grapefruit peel and lime, making this one of the best-smelling products I’ve ever tried. To use the dry shampoo, you sprinkle some onto your roots, massage the product in, then wait for 30 seconds to a minute before you brush your hair through and style it. It doesn’t leave any white residue once you’ve massaged it in, unless you go to town and end up with a bit more than you bargained for. Less is more with this one. Once massaged in, it gives my fine hair a good volume boost and absorbs any extra oil. It also makes up-dos easier to style, particularly the high ponytail, and gives hair that textured, undone look. I have a sensitive scalp but I haven’t experienced any irritation, which is a bonus! So, would I recommend it? At £10 per tube it costs a lot more than your standard high street dry shampoo, but then this isn’t your standard high street dry shampoo to begin with: it’s natural, cruelty-free, vegan, and — wonky sprinkler aside — it works. It’s best used sparingly, so you’ll get your money’s worth, and you’ll be supporting an independent cruelty-free company. I’ll be buying another tube for future bad hair days. What are your thoughts about dry shampoo? Do you have a favourite? Let me know in the comments! 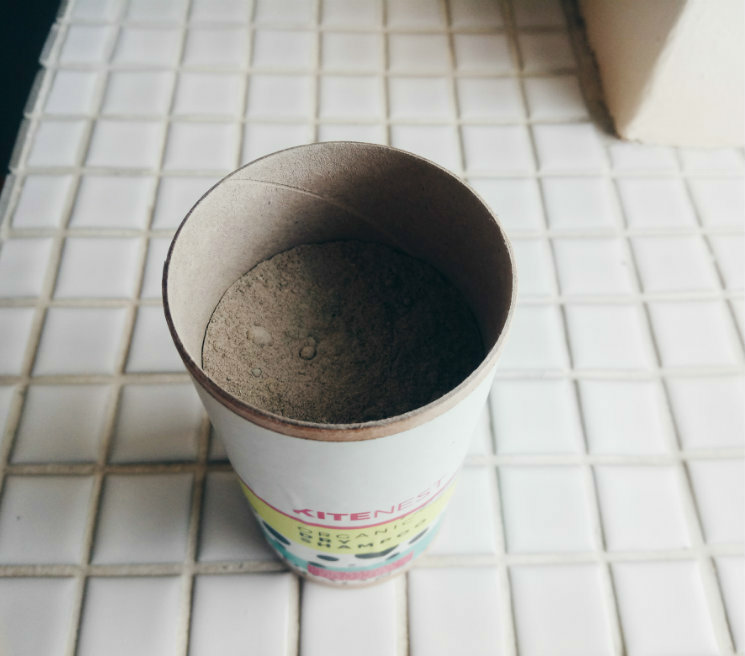 Product sent to me by KiteNest for consideraton of review. As always, all words and opinions are my own.